Who needs luck when you've got a four-leaf clover? The perfect gift for all of the unlucky people in your life. 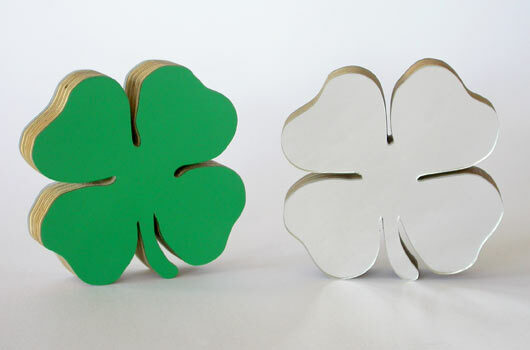 Timber ply with mirrored perspex on one side and green laminex on the other; the clover puts a bet each way. We suggest you do the same.